3. Unigenitus at 300: Selections from the Miscellanea Relativa alla Bolla Unigenitus. -Broadside supposedly by the tailors' guild of Malaucène in Provence, evoking Gallican liberties and rejecting the imposition of Unigenitus. - Lettre d’une dame de Paris au pape sur la Constitution (1714), an early example of a Jansenist "letter from a lady of quality". - Various lawsuits related to the refus des sacraments. Response of the satirists: Various pamphets. 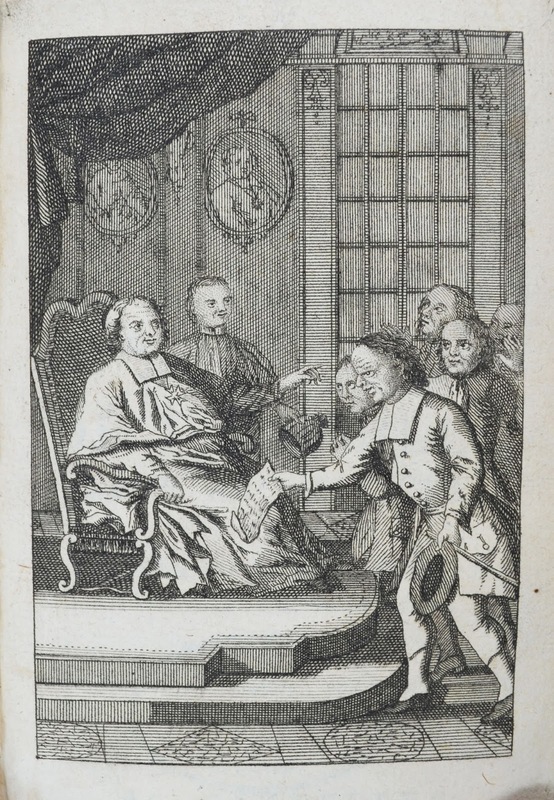 This Sarcellade is the only pamphlet in the collection to be illustrated; the peasants of Sarcelles present their harangue to the Archbishop. 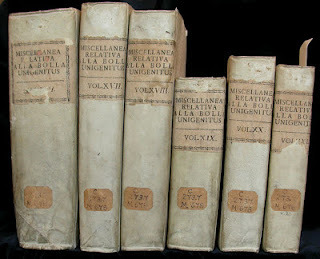 Various arrêts and notices relating to the condemnation of various Jansenist works, including the Nouvelles ecclésiastiques in 1731.